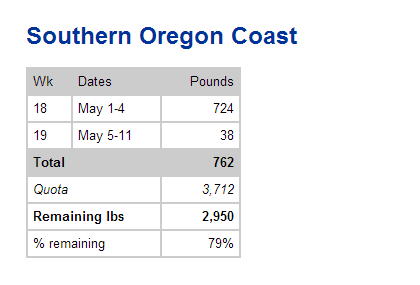 The Oregon Pacific Halibut fishery is always an anticipated angling opportunity by many residents. 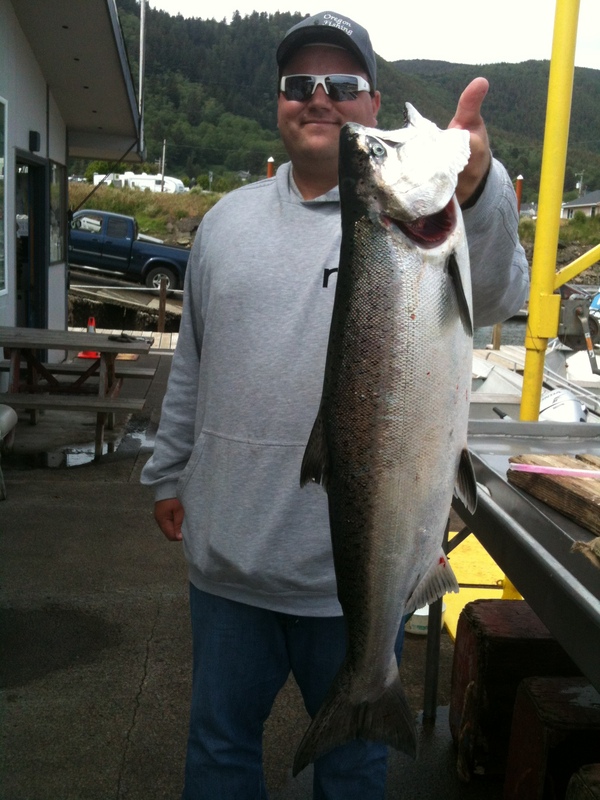 This is spring time ocean fishing so there will be some good weeks and there will be some days that are pretty wild condition wise. 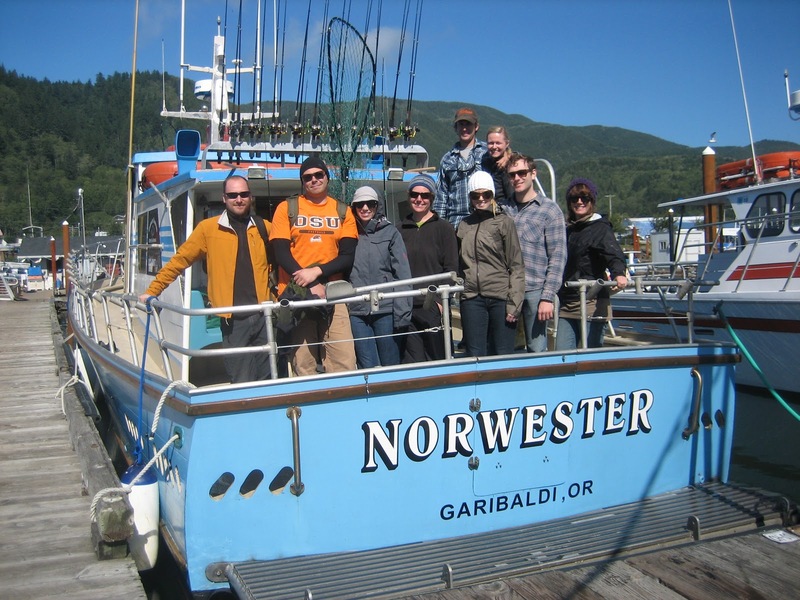 Check out the schedule and dates below, depending on what port you are leaving out of there will always be a few amazing days each season for offshore and inshore halibut fishing. Always make sure and check the current regulations for any changes as the season will be called early if anglers catch their allotted limit early in the season. 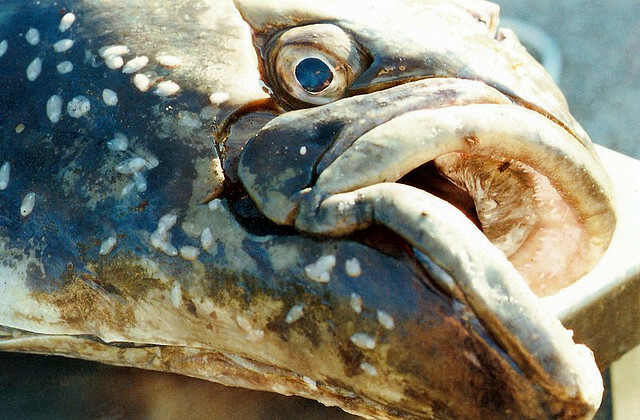 The 2014 season has been given a catch limit of .96 million pounds, down slightly from the 2013 Season. Columbia River subarea. 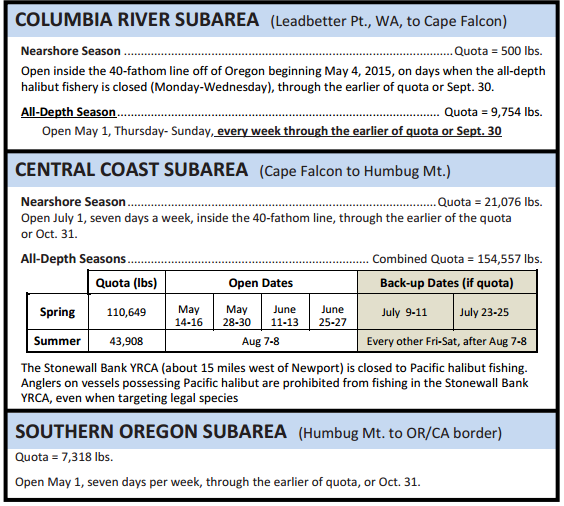 (1) The all-depth halibut fishery will be open four days a week, Thursday through Sunday, for both the spring and summer seasons. 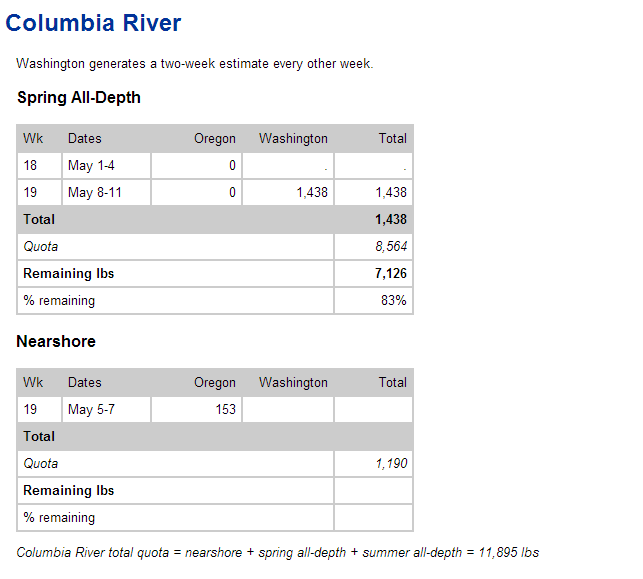 (2) A new nearshore (incidental) fishery with 1,000 pounds or 10% of the Columbia River subarea allocation, whichever is less, will be open inside the 40-fathom line (defined by waypoints) beginning on Monday, May 5, 2014, on days when the all-depth halibut fishery is closed. Central Coast subarea. 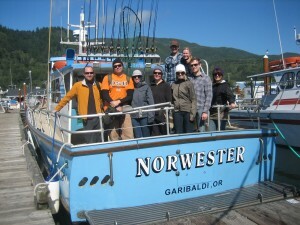 The nearshore halibut fishery will open on July 1, seven days a week. South of Humbug Mountain subarea. 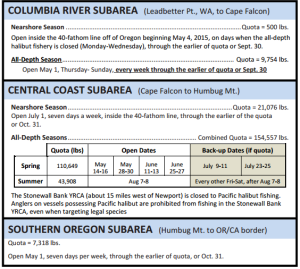 A new Southern Oregon subarea (Humbug Mountain to the OR/CA border) was created with 2% of the Oregon sport allocation and an opening date of May 1; open seven days a week. 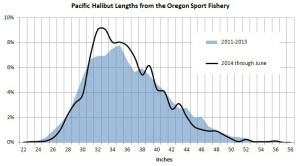 Make sure to have your fishing license and proper tag to take a legal halibut. The popular method is to use baits including large herring, shad, tuna belly, salmon belly, and other concoctions of bait with a heavy sinker. If you have never fished for halibut off the Oregon coast the offshore fishery in places like halibut hill out of Garibaldi are over 800 feet deep. You will be using a very heavy weight and doing a lot of reeling. But grilling a halibut on the BBQ or grilling some amazing fish tacos makes it all worth it.